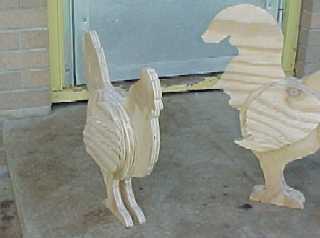 Justine cut out and assembled a pair of wooden "Yard Chickens" and three chicks. She got the patterns from her step-dad before he passed away last year and just now got around to cutting the pieces out of 3/4" plywood and assembling them. 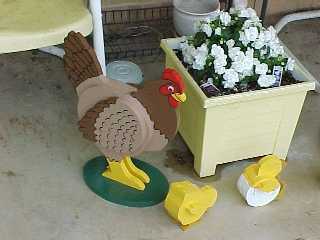 If you're interested, the pattern came from Meisel Hardware Specialties of Mound, MN. 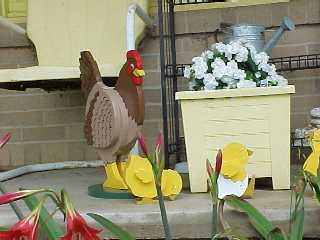 Hen and rooster on back porch, just cut out and assembled. 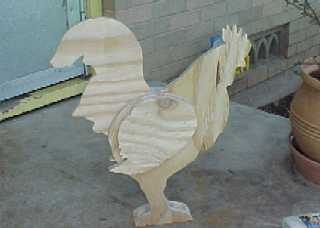 Rooster on back porch, just cut out and assembled. 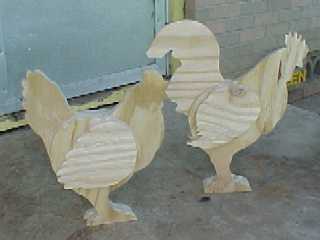 Hen and rooster on back porch, just cut out and assembled. View of hen from front to show depth. Each is 5 layers thick of 3/4" plywood. 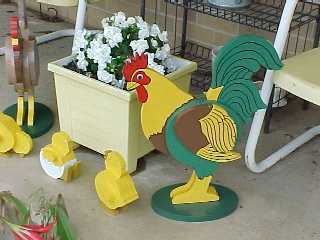 Rooster, Hen and chicks on front porch after sanding, painting and sealing. 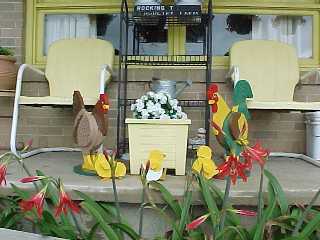 Hen and chicks on front porch after sanding, painting and sealing, closeup. 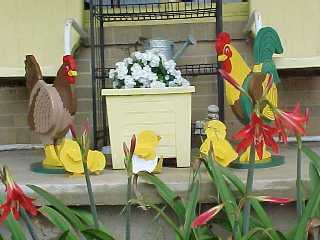 Rooster and chicks on front porch after sanding, painting and sealing, closeup.